Passiflora quadrangularis, Square-stemmede passion flower, Giant granadilla, Granadilla, is a species of flowering plant native to Neotropics. It is an herbaceous and glabrous vine which is woody at base growing to 10-15 m long with broad to ovate leaves and white flowers tinged with purple or pink. The oblong greenish to white fruit, growing to 20-30 cm is edible. This showy plant has invited various common names. In Chinese it is called da guo xi fan lian, in French it is barbadine, in Spanish badea and others. The fruit is consumed raw, juiced, cooked or added to the salads as well as fruit juices. Giant granadilla is native to Tropical America but its actual origin is unknown. In 1750, it was cultivated in Barbados and now presently cultivated on the Caribbean Islands and Bermuda. 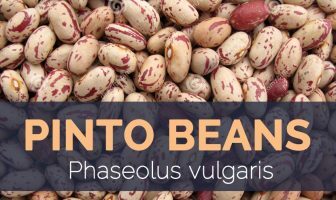 It is cultivated commonly in Mexico, Brazil and Peru. In 18th century, it reached to Malaya. 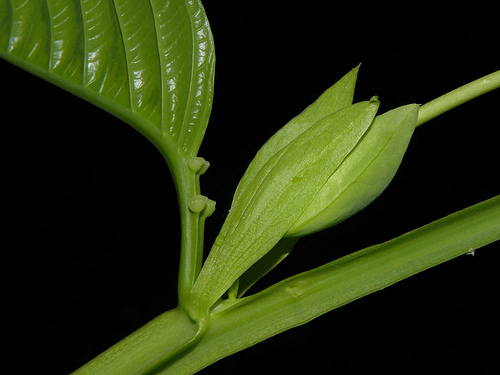 It is grown in lowlands of India, Philippines, Ceylon, Tropical Africa, Australia and Queensland. It was grown lushly in the Tropical North Queensland. In 1888, it was cultivated in Hawaii and in 1931 it was naturalized to the moist places. In 1909, the seeds were received to United States Department of Agriculture from and are planted occasionally in Southern Florida. 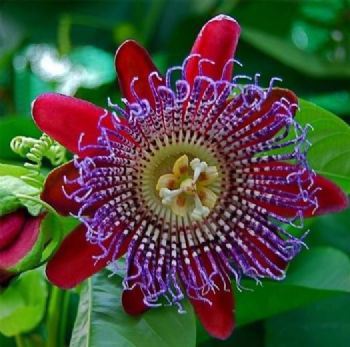 Passiflora quadrangularis is a herbaceous vine capable of growing to 10-15 m long. 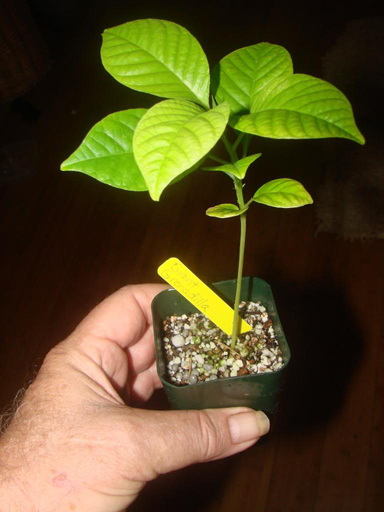 The leaves are broad to ovate or oblong to ovate; 3 ¼- 6 inch (8.25-15 cm) wide; 4-8 inch (10-20 cm) long, smooth and bright green. The flower is campanulate, white tinged with pink or purple, filamentous and 7-10 cm in diameter. The fruit is oblong, 20-30 cm long and 10-20 cm wide that contain numerous seeds. Seeds are flattened to oval, 7-10 mm long and purplish to brown. Fruit has white or pink flesh which is 1-1 1/2 inch (2.5-4 cm) thick. The serving size of 100 grams of Giant Granadilla fruit grants 78.67% of vitamin C, 10% of iron, 2.44% of phosphorus, 2.36% of Vitamin B3, 1.38% of calcium. 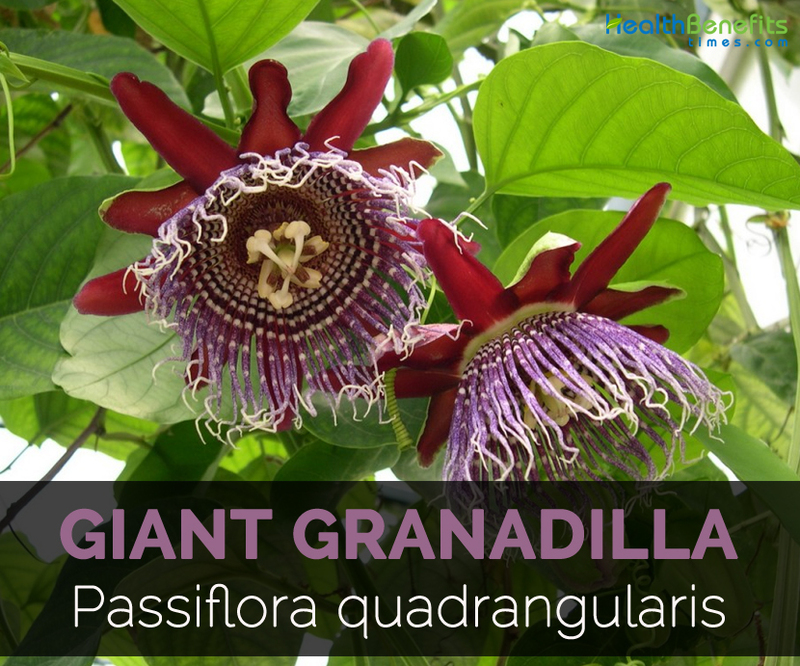 Giant granadilla has four angled stems that are thick and has winged angles. It requires tropical and warm climate with well-drained soil. Giant granadilla is available from July to October. 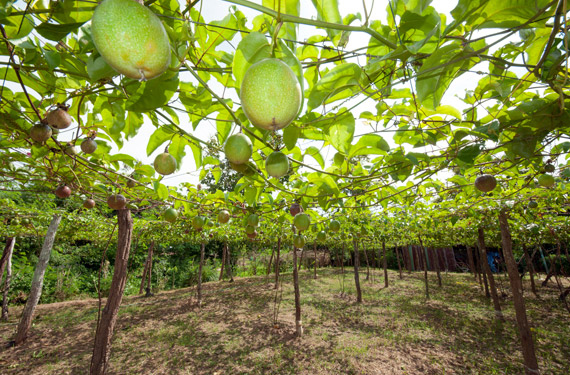 The ripe fruit has an aroma which resembles lime, strawberries and melons. The fruit skin is thin, delicate and the color ranges from greenish to white to pale or deep yellow. The pulp has sub acidic flavor and is mild sweet. 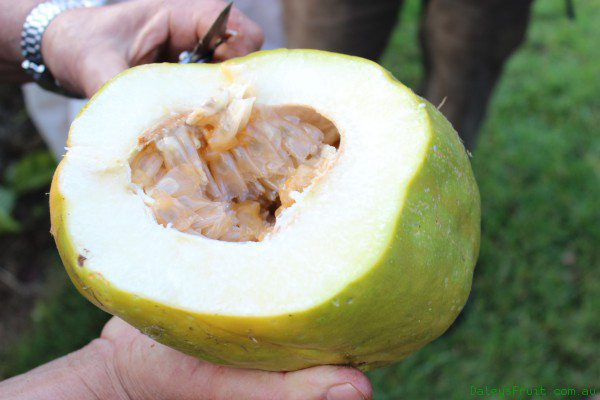 This fruit is used in traditional medicine to soothe the stomach problems and prevent scurvy. The fruit also provides relief from diarrhea, dysentery, anxiety and insomnia. The study shows that high intake of Vitamin C helps to lower the chances of skin dryness, appearance of wrinkles and also slows down the process of aging. Vitamin C is vital for the formation of tendons, skin, blood vessels and ligaments. It forms a scar tissue and assist in the wound healing. The evidence shows that the skin cream with Vitamin C lowers the skin redness caused due to scar removal or wrinkles. It helps to maintain the skin health as it is rich in antioxidants that help to prevent the skin cancer. The body should function properly in order to receive the nutrients. The digestive system should take the nutrients from the food and absorb to the bloodstream. The cells should absorb the nutrients and vitamins that assist body to lower the chances of disease and inflammation. The intake of vitamin C with iron raises the absorption of iron in the body. Vitamin C helps to lower the chances of gout which afflicts the big toe. The big toe is inflamed, stiff and painful due to the formation of uric acid to crystals in the joints. The study shows that those who intake 1000-1499 mg of Vitamin C, their chances of gout was lowered by 31%. Vitamin C is an antioxidant that prevents the damage caused due to the free radicals, pollutants or toxic chemicals. The buildup of free radicals leads to the various health ailments such as arthritis, heart disease and cancer. The free radicals form during the breaking down of food or when exposed to tobacco, smoke or radiation. Vitamin C plays a vital role while counteracting the viruses and colds. 1000 mg of Vitamin C is effective to neutralize the forthcoming cold and 4000 mg helps to eliminate the existing cold. Vitamin C helps to lower the chances of lung infections and pneumonia. The study shows that Vitamin C helps to enhance the immune system which becomes weak due to stress. Stress is the common problem of all, so the adequate amount of Vitamin C helps to enhance the health. The high intake of Vitamin C promotes the effect of cancer fighting drugs which is used in chemotherapy. The in need cells are only targeted by Vitamin C. The research shows that Vitamin C is an effective aid for the lung and ovarian cancer. The study shows that the high intake of Vitamin C helps to lower the chances of stroke by 42%. This is due to the high amount of Vitamin C in the blood which could be found in veggies and fruits. So one should raise the intake of veggies and fruits in a day. High consumption of Vitamin C enhances the muscle strength and physical performance. The supplements of Vitamin C enhance the intake of oxygen while exercising. The study shows that it also helps to lower blood pressure. The intake of Vitamin C before marathon helps to prevent the infections of upper respiration. It also promotes the airways and lung function. High content of Vitamin C lowers the histamine production that results in inflammation to the asthmatic patients. 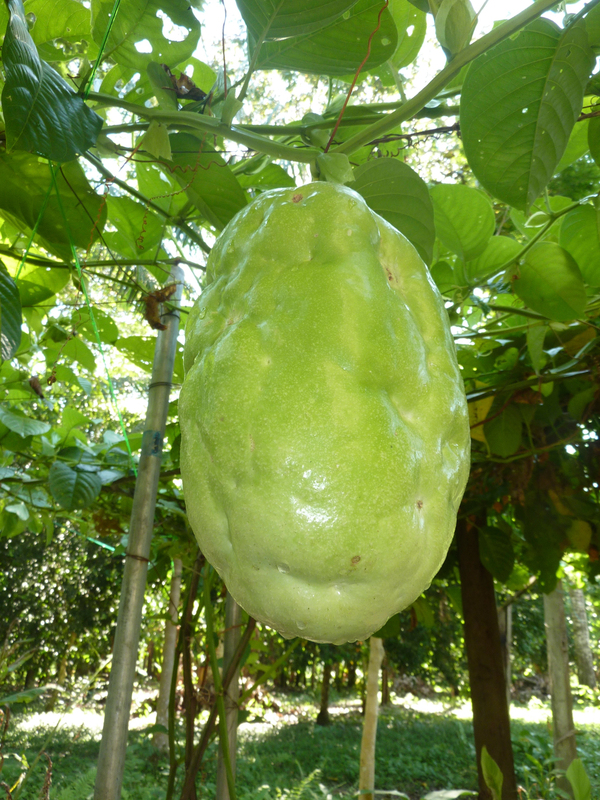 In tropics, the fruit is used as stomachic and antiscorbutic. In Brazil, flesh is used to provide relief from nervous headache, diarrhea, asthma, dysentery, insomnia and neurasthenia. The decoction made from leaves is used as a vermifuge and treats skin disorder. The poultice made from leaf is used for liver complaints. Unripe fruits are consumed as vegetable. Flowers are used to make syrup. 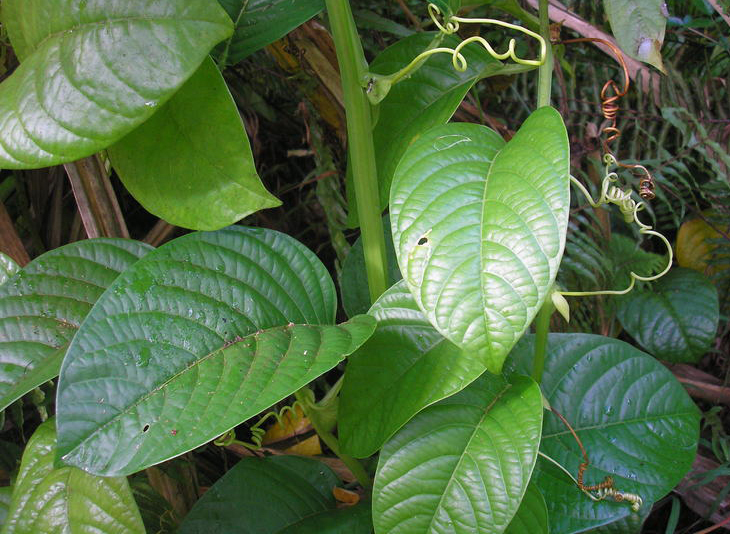 It is used to treat headaches, diarrhea, asthma, dysentery, insomnia and neurasthenia. The fruit is used to provide relief from stomachic and scurvy. 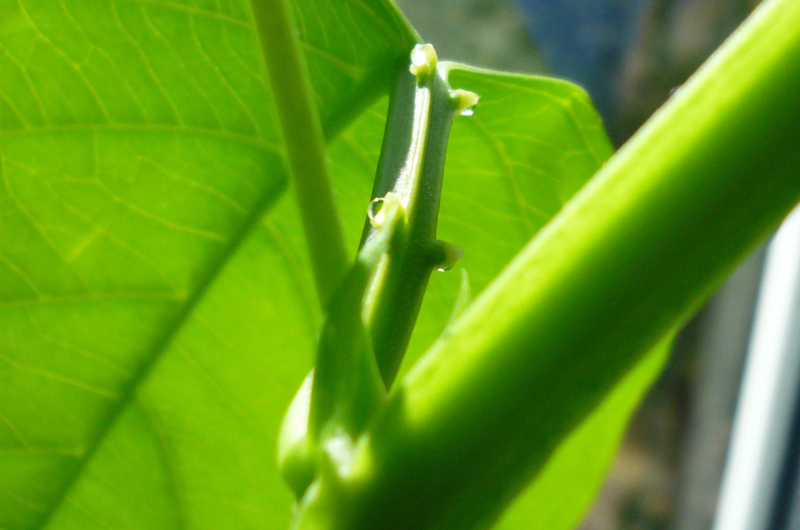 The leaf extract helps to treat intestinal problems. Traditionally, Giant granadilla is used to treat menstrual pain and dysentery. The extract of Giant granadilla flower and hawthorn helps to treat congestive heart failure. The mixture of Giant granadilla flower and hawthorn berries helps to lower the digestive problems such as colitis and gastritis. The fruit juice is used as eyewash to aid sore eyes. An infusion or tincture made from dried leaves is an aid for insomnia. The homeopathic practitioners use it as a treatment for whooping cough and asthma. One should consult a doctor before eating this fruit. The side effects such as vomiting, nausea, rapid heartbeat and drowsiness might be experienced. 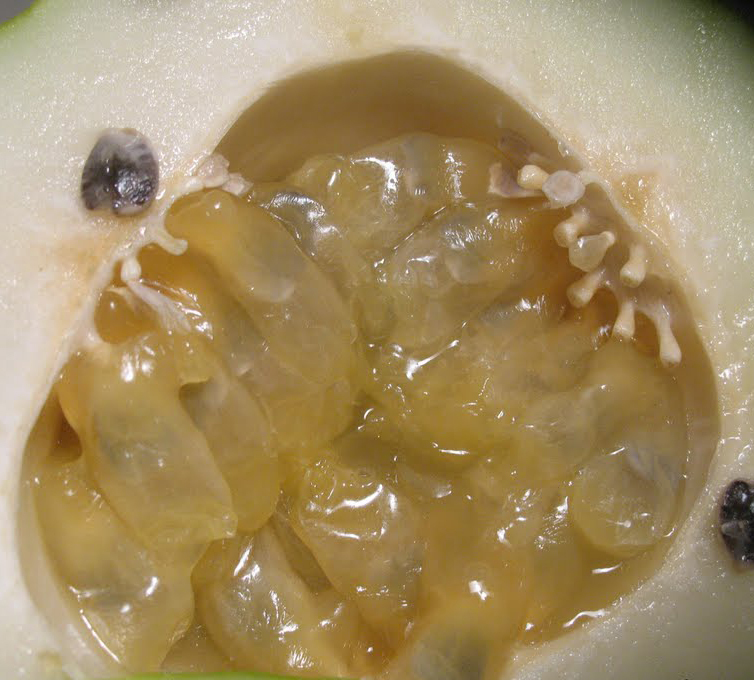 Pregnant women should not consume Giant granadilla because it possesses the substances which promote the uterus contraction. 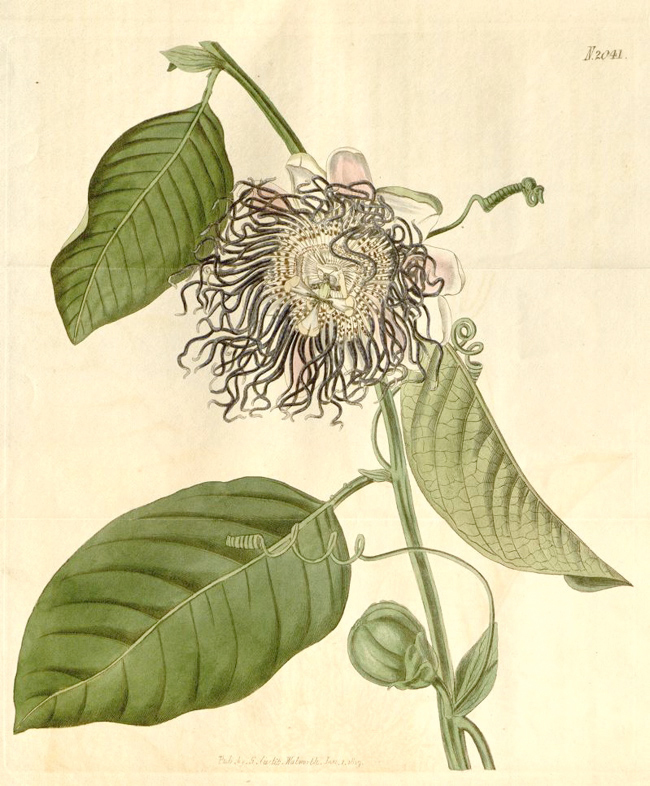 The flower of Giant granadilla raises the effect of herbals and drugs that enhance sleepiness. It promotes the blood thinning effect of antiplatelet and anticoagulant agents. Fruit is consumed fresh or added to drinks. The unripe and green fruit is consumed as vegetable. The leaves are used to make tea. Fruits are used to make ice-cream and drink. The flesh is added to the fruit salads with pineapple, papaya, banana which is seasoned with lime or lemon juice. It is prepared with sugar and consumed as a dessert. The arils and flesh is consumed in Indonesia with sugar and shaved ice. 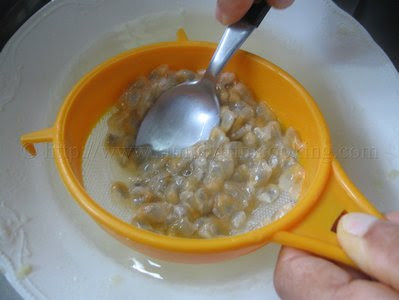 The stewed flesh with raw arils is used as a filling for pies. 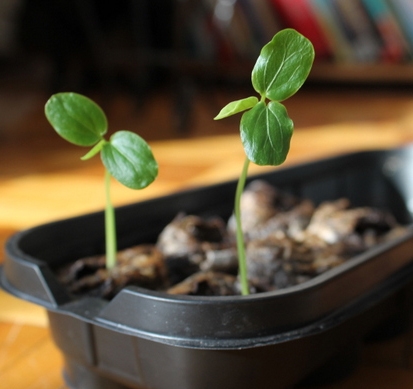 The arils could be consumed raw without discarding seeds. The unpeeled flesh is used to make jelly by boiling the flesh for about 2 hours and separating the simmered pulp. The strained juice is used with lemon juice and added sugar which is boiled till it jells. In Indonesia, the pulp is bottled. The mashed ripe fruits are used to make wine by adding warm water and sugar. It is granted for 3 weeks with the addition of two pints of brandy and let it remain for 9-12 months. In Jamaica, the roots are baked and consumed as a substitute for the yams. The pulp is added to the banana smoothie. The pulp is used to make sherbet. The fruit is used on platter in exotic salads. It is used in wine making as well. It is a type of squash fruit which has a mild melony essence. It has different names in various parts of the world. In U.S. states, it is known from various names. The fruit is highly nutritious. The fruit is combined with other fruits in dessert and also cooked or processed.